Today on CSReview, Camilla Stein is talking to Bethany Orr, a Hollywood actress and filmmaker, who has just debuted as indie producer and director with her short film Agorable. CS: Welcome to CSReview, Bethany! Having just seen Agorable, I cannot rest till I get to the bottom of the story behind the making of this very frank and brilliant short film. But first things first – why did you decide to write a film script, not a short story or a novella? Bethany Orr: That’s interesting, how you know the thing you have in you is a film and not another medium. One of my mentors, Werner Herzog, would say that a story must be a film if it can ONLY be told through film. I knew this was a cinematic story, even though it’s about a small world, I felt film was the only way to relate the kind of experience this woman was having. CS: Since Agorable is autobiographic, I wonder, did you have reservations against filming your own life story and having such an intimate exposure? Bethany Orr: Hell yes. It was the scariest thing I’d ever done in my life. But I had such a strong need to express it… I wasn’t sure why, it just had to be done. Like exorcising a demon in a way. I had this character inside me that I had lived – that I had survived, really – and to start with I didn’t like her at all. Finding my way back into her, this time as an actor and a filmmaker, was an act of compassion. It was a surreal process, going through it originally on such a stark personal level, then again as a writer, then again putting the team together for the shoot, and again in a big way on set. I thought I was done with her after that! (laughs) But no, I had to face her again in the editing room. That was the most intense of all. CS: I can relate to the struggle of the main character, and I know many people who have gone through a similar thing, battling a clinical depression with agoraphobic tendencies, indeed a very dark and painful experience. How did you feel when you came back to the apartment where you had spent so much time in isolation fighting your own demons? Bethany Orr: Believe it or not I was still living there during production. From the film you can see it’s this romantic little studio apartment with hardly any light. (laughs) It’s a $#%&hole. We moved all my stuff out into a storage unit for production design, and I slept on the couch every night for a few weeks before the shoot. It was great. CS: Now that is a shocker! (laughs). But, I guess, there’s something therapeutic in the way you handled it. What was the highlight of the production process? 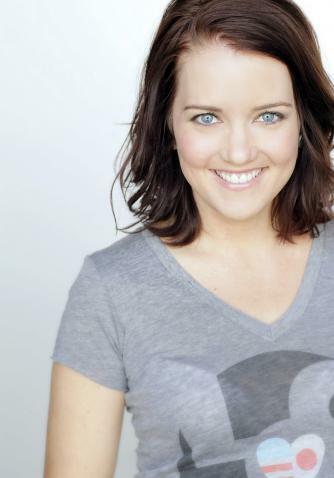 Bethany Orr: The highlight of production? God, those were the best four days of my life. I was really impressed by how this team worked together, like a well-oiled machine, particularly my cinematographer Katie Goldschmidt and the camera crew. Also art department, my production coordinator, the cast… I got really lucky. I’d never had that experience before. As an actress on other projects I’m on set a fraction of the time, just for my scenes. During Agorable I never left. Being so intricately involved in every step… sounds silly but it felt like being in love. I’d never been so alive. CS: Fascinating! Oh I know very well what it feels like to meet people of your own tribe – professionally and emotionally on the same page with you, wanting to rock the world. Can you name the most memorable event on the set? Bethany Orr: We did have an extraordinary event happen on the peripheral during post-production. As you know I based the story on my own struggle with depression and severe social anxiety, and during that time I absolutely thought about suicide. Somehow when in that state, it seems like you are the only one who has ever felt that way in the history of time. That’s the lie. One night after editing, I was watching TV at home with my roommate and we heard a gunshot sound from the apartment below ours. It turned out to be our neighbor Dave. Just like that. I can’t tell you how bizarre it was to watch the night play out… the cops arriving, taping the building off, questioning all of us, moving the body out. There’s a strikingly similar scene in Agorable, one we had filmed months earlier. CS: Very sorry to hear about your neighbor. You must have felt chills having had a premonition of some sorts… A technical question – how many cameras did you have on the set and what would you have done differently if you had a different (better) budget? Bethany Orr: We used one camera. Our film ended up being the length of a network pilot. But no one got network money – not even close – because independent film is a totally different playing field. We weren’t sending anyone’s kids to college but for a short film we had a great budget. I honestly feel like having much more would have made us less resourceful and degraded the product. There are people out there living on hard noodles and making features for ten grand. It’s exciting what’s possible when you have the backing of a whole team of people just as passionately crazy about storytelling as you are! CS: Could you elaborate on what it’s like to be an indie producer/director? What was the hardest obstacle you and the crew overcame while filming and in post-production? 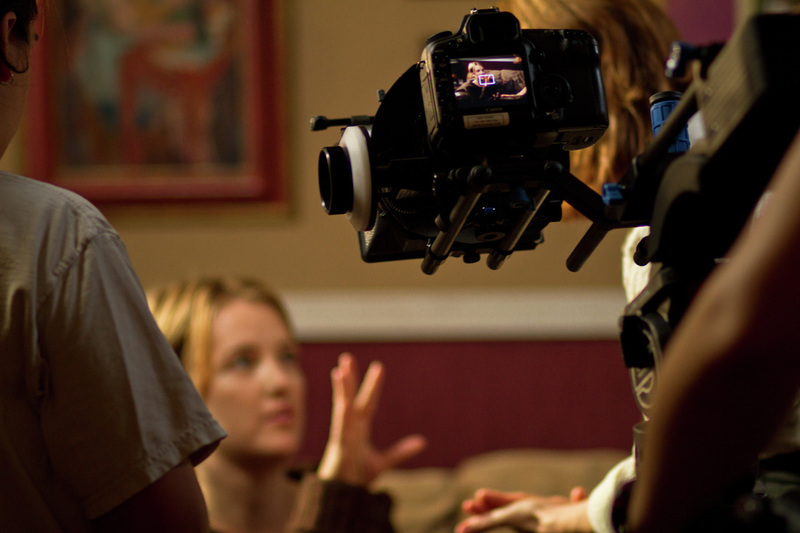 Bethany Orr: I never fancied myself an indie filmmaker. Those were shoes I filled out of necessity. I’m an actor who had a story to tell, and there was only one way to do it. So I got some other people together who didn’t think it was a bad idea. Writing was the easy part. Then we had to do all the legal stuff, setting up an LLC and qualifying our investor. It was another year after that before people really started responding to the script… that’s how we knew it was ready. We actually hired a director who worked with us through casting and prep; she was fantastic but for personal reasons had to bow out a week before we went into production. When she left she took our other lead actress and our cinematographer… it was pretty bad. I didn’t want to postpone the shoot. So I chose to step in to direct and almost immediately the other players fell into place. We found Katie, and then Holly (Kaplan) came to us, who is incredible in the film. It was the right decision. But, yeah, looking back it was kind of a logical accident that I ended up at the helm. CS: I am glad you didn’t get discouraged and saved the product. I really enjoyed it and I think many will too. I really loved the color definition and the sound arrangement. Also the speed and the dynamics of the narration. Very telling with very little. It seems the focus on details is important in Agorable. As the leading actress, did you let yourself go on purpose prior to filming or is it all make-up? Bethany Orr (laughing): Let myself go, that’s great! You know, Hollywood is so obsessed with youth and beauty, everyone wants to be the perky pretty girl, and I wanted to go against all that. This character is living rough and she looks it. I had to embody that. So yeah, I was grimy and uncomfortable during filming -I directed in boxers and dirty sweat socks! I was all in. It was a risk, but that’s the only way the story could be told. CS: I think you played the juxtaposition very well. This is what, in my opinion, makes Agorable an eye-catcher. What would you say is your message in the film and do you think you succeeded in delivering it to the viewer? Bethany Orr: I don’t find myself attracted to movies with messages. In my work I try very hard to avoid making moral judgments. So the film is controversial, people seem to get different things from it, and to me that’s ideal. The audience should be free to respond in their guts, in whatever way their body takes it in. I’m the filmmaker, I’ve done my job. The rest is up to you. CS: Wonderfully said, Bethany. It was great having you on CSReview. 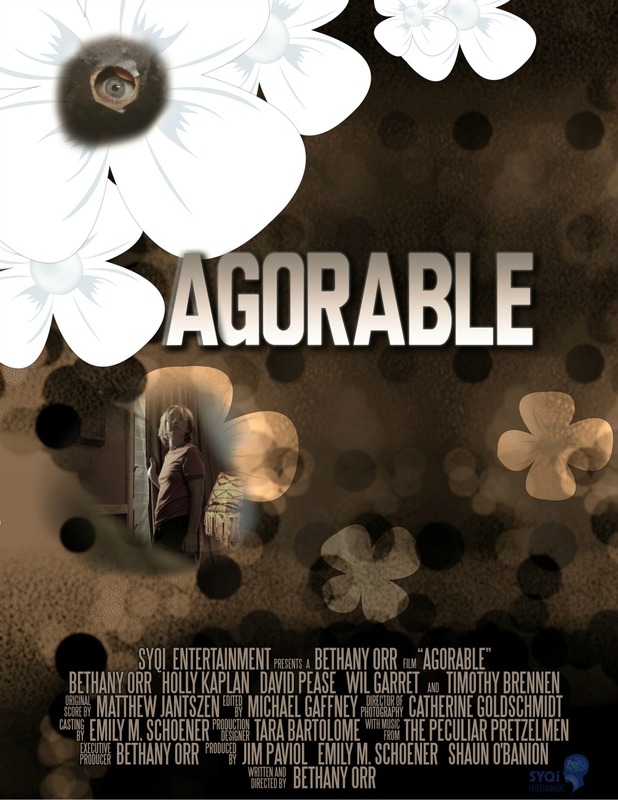 Much luck to you and Agorable during the upcoming Newport Beach Film Festival!